what dragon are you?? at the end like the quiz. what do you look like. 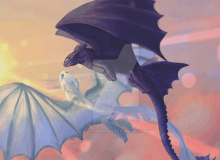 what type are you will find out soon in how to train your dragon hidden world quiz. you get stranded on an island what do you do? your egg gets taken away by a 8 yr old what do you do ? you get hurt what do you do? you are alone on a island and a new dragon joins you what do you do? you get hurt while being captured what do you do?